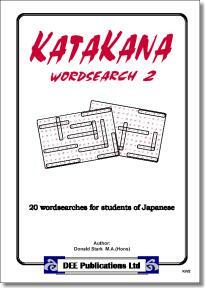 20 Wordsearches for students who are learning Katakana. Focus on reading & writing Katakana. Key syllabus vocabulary presented. A4-sized photocopiable masters. Answers included.